"Little Heaven is the first major horror novel of 2017, and it’s going to take a monumental deluge of quality horror to keep it off of those end-of-year best-of lists that will start popping up 11 months from now…. [Cutter’s] developed a clear, strong voice through his body of work. 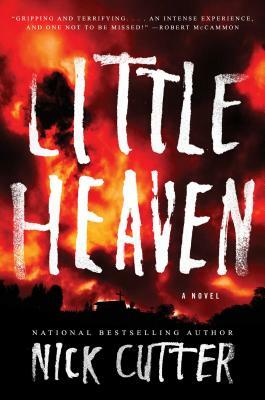 His characters are complex and relatable…they live and breathe within the context of the novel; many of them walking that shaky tightrope between good and bad, sympathetic and irredeemable….Little Heaven is another excellent addition to Nick Cutter’s growing body of work, a grotesque masterpiece that sets the bar high for horror fiction in 2017." “For all horror fans, this is the latest—maybe greatest—novel to come from the mind of the frightening Nick Cutter to date….portraying images, as always, that stay in your mind and stop calm, peaceful sleep from coming." "Terrifying...The kind of horror that remains in the room of the reader. It's as if Nick Cutter spun a very human yarn into the myriad folds of a monster." "Fans of unflinching bleakness and all-out horror will love this novel... Disturbing." "If you aren't claustrophobic now, you will be after reading The Deep. Terror at its best!" "Provides an unshakable haunting....Recommended for lovers of horror and books that make you question your sanity." "Resembling something like Deliverance as imagined by David Cronenberg."